feel crazy busy but somehow not at all productive. have so many ideas, but no idea how to do allthethings, or where to start. are tempted by coach after coach promising their “3 step system for success” that will magically transform your business, but know that it’s not realistic and could be a big waste of money. don’t have a solid PLAN for your business. don’t want to end up taking a wrong turn and ending up with a project that doesn’t add value (or money!) to your business. You CAN create a plan that is UNIQUE to you and your business journey. No more wandering in the wilderness! Aimless to Aligned is going to take you from idea-overload to an intentional and focused biz plan that works for YOU. The Aimless to Aligned Course provides you with the guidance, framework and encouragement of developing a solid business plan to make this year the best year in your business yet! Define & evaluate your starting point. Get clarity on your purpose & business vision. Map out your business strategy. This isn’t just video training, this is a planning process! 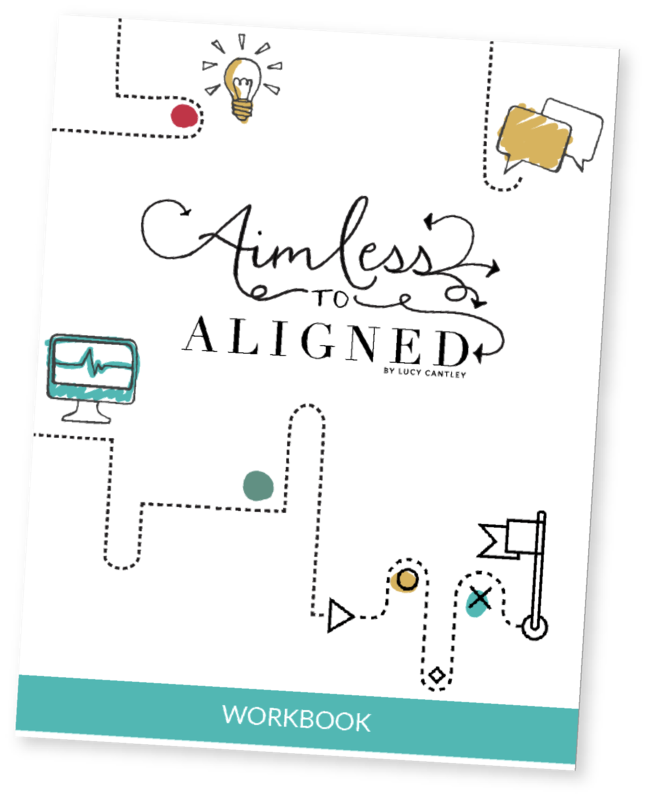 The Aimless to Aligned workbook helps you fully dive into strategic planning and compliments the video training. How To Get There Intro Idea Brain Dump Narrow Down Your Options Setting SMART goals Planning Your Year Wahoo! I’m a unique hybrid of a strategist & project manager. My mission and passion is to help other badass lady entrepreneurs develop additional revenue streams in their business model. From idea to launch, I strategize and manage the process of creating courses, programs and memberships to maximize my client’s revenue-generating opportunities! I love nurturing and lifting up women who are preparing to scale their business. As someone who once struggled to find balance in life, I feel drawn to help other women embrace the flexibility of entrepreneurship, create a life they love, without trading hours-for-dollars. No longer feeling overwhelmed by ideas! One of my biggest blocks as a blogger has been having too many ideas. This may not seem like a problem at first glance, but it often keeps me from sitting down and focusing on what needs to be done. Lucy's course was amazing and allowed me to take a step back and truly analyze what I'm doing with my blog (and growing business). I still have way too many ideas, but now I have a system of how to handle them so that I can move forward to confidence and clarity. If you're feeling pulled in too many directions or overwhelmed by your own creativity, then Lucy's course is just what you need! I am a huge fan of learning in general, but it's a rare delight when you can learn from someone whose passion sparkle's out of them. Lucy is no doubt a fan of cheering her clients on to success, and really, isn't that what we all want from someone leading us? The entire course was stellar. The bonus sections were also jam-packed with actionable steps to help me become an entrepreneur who clearly knows when to say no, and when to take action. $97 and a few hours work could get you transformational clarity in your business. If you’re feeling remotely aimless in your business, you’re wasting time and money. 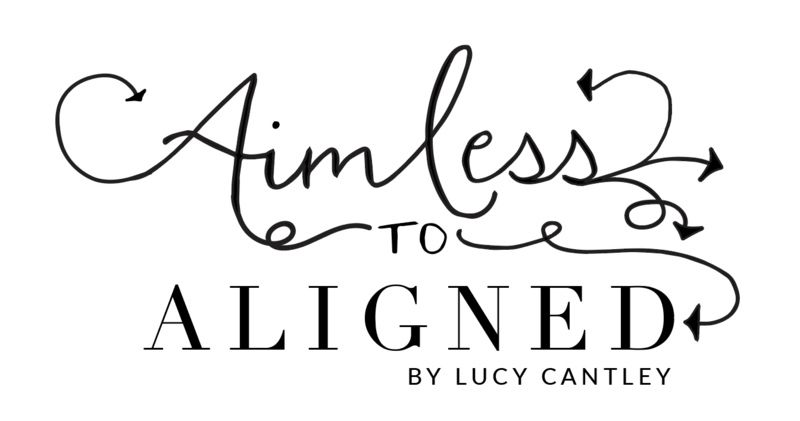 I speak from personal experience when I say alignment makes your life considerably easier (because when you’re all over the place, that’s exhausting, right?!) It’s NEVER too late to form a strategic plan in your business. Don’t throw in the towel until next year. Uplevel your business strategy THIS year. I got you!